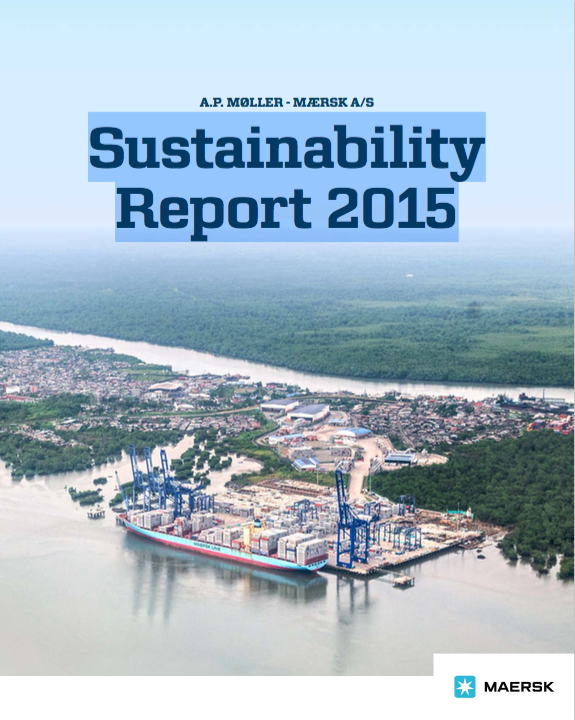 The Maersk Group has recently published their Annual Magazine and Sustainability Report 2015. 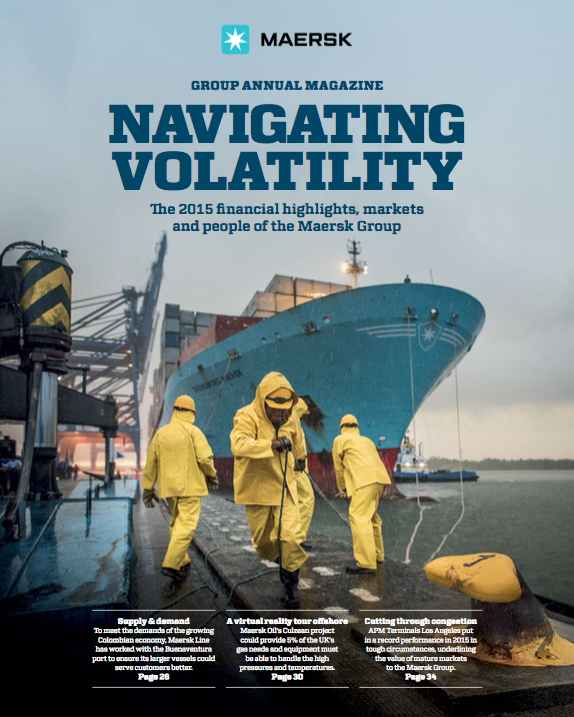 I have been collaborating with the Maersk Group for some time now, and this year has been nothing short of amazing. 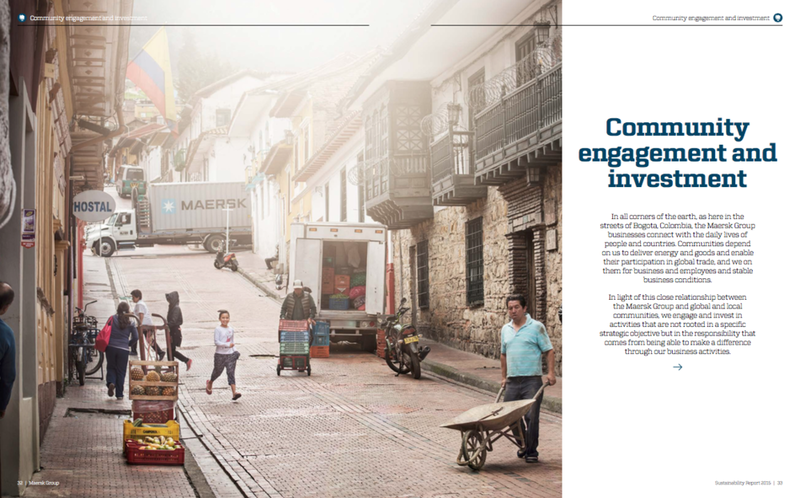 I have been commissioned to go to so many exciting and beautiful places and many of the photos I took on these trips have been featured in both the report and magazine. 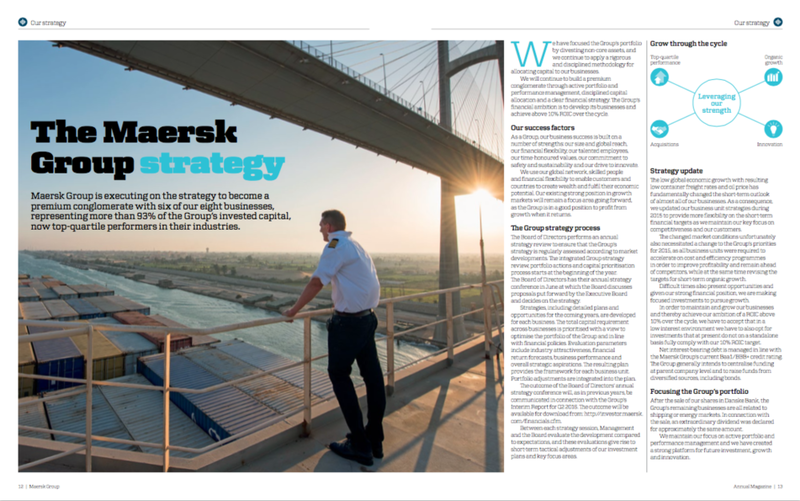 I am very impressed with how the Maersk Group uses large scale images in their communication, and especially in the Annual Magazine "Navigating Volatility" for 2015, where Radley Yeldar, a cool London based communications consultancy, is behind the design and layout. They have given the images space, full spreads, that allows the images to communicate the story and incorporated text on the images in a way that looks effortless, clean and inspiring. Please see below where I have included some screenshots of the magazine and report with my images.